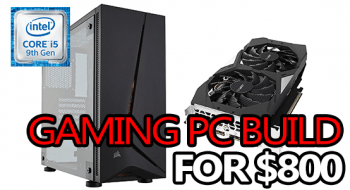 Finding the best chair for gaming can be a daunting task considering the sheer number of options that are available. Not only do you have to sift through pages upon pages of low quality chairs that you just can’t be sure about, but you’ll be mentally combating the marketing and hype at the same time. 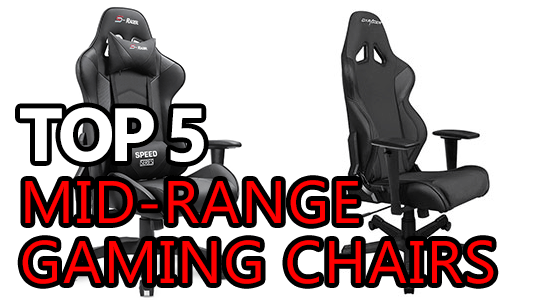 That’s where this list of the best mid-range gaming chairs comes in handy. It skips the fluff and tells you exactly what you need to know. By our classification, a mid-range chair runs in the range of $150-$400 or thereabouts. 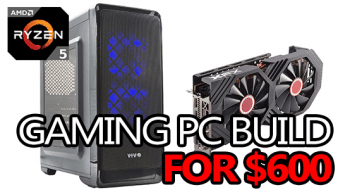 Below that you’ll find cheap gaming chairs and of course above that you’ll find the high-end. Getting a mid-range chair for gaming, in most cases, is going to be your best option. You’ll be getting a quality chair that won’t break down in 4 months and you won’t have to spend $1000 on a Herman Miller Aeron to get it. Ficmax’s High-Back Gaming Chair is a great mid-range option on the lower end of the price spectrum. 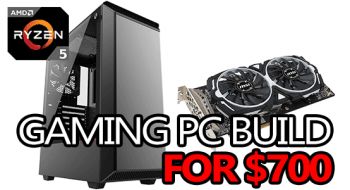 It’s built well and comes with a lot of features that you’re probably not expecting to get in a chair at this price. For starters, it’s wrapped in a relatively soft PU leather and cushioned well everywhere – if not just initially… The rest of the chair is constructed with a lot of plastic and a bit of metal where it’s needed. It also comes with a USB-powered back massager that… works… and even a retractable footrest. However, it’s worth noting that if you’re much taller than 6’0″ the footrest won’t work too well- it’s doable, but it’s not ideal, more of a calf rest to be honest. This chair will also support up to 300lbs (136kg), supports 360-degree swivel and will tilt all the way back to 180 degrees. So, you can lay back and spin in circles just like you’ve always wanted to. As an added bonus, Ficmax offers a free replacement/money back guarantee for any reason within 30 days of buying it – that’s decent. They also offer a lifetime warranty on the frame of the chair and a 12-month warranty on all parts. It’s worth noting that it’s also a breeze to put together, 20 minutes is probably all you need. There are a few reviews mentioning the pneumatic lift failing and some about the cushioning becoming flat, but there are also lots that talk about the exact opposite. We didn’t experience any major malfunctions with our test sample and it seemed to be a great chair at a great price. 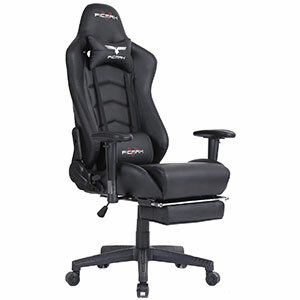 Overall, for less than $200 Ficmax’s High-Back Gaming Chair is definitely a good option. Homall’s Bucket Seat Gaming Chair shares a few similarities to Ficmax’s High-Back Gaming Chair, but it drops a couple of features as well as some dollars off the price. It serves as a great alternative if you’re looking for a good chair but you don’t need or want the features of the previously mentioned chair and instead want to spend just a little less. This bucket seat is wrapped in a nice PU leather with “carbon fiber” PU leather inserts that add a nice aesthetic flair. The cushioning is somewhat rigid but still comfortable and feels like it should last for a while before it becomes less comfortable. It comes with 2 decent pillows for your neck and lower back and offers a big wide seating area good for sharing with your cat. This chair will support up to 300lbs (136kg) and will recline all the way back to 180 degrees. It’s also worth noting that this chair goes really low, at the lowest point it’s only 17.7″ above the floor. The armrests are adjustable, the back tilts as far as you want, it goes both very low and very high and the castors are rubber wrapped. The assembly can be somewhat of a pain but it’s not terrible compared to some other chairs. Honestly, it’s hard to find many negatives about this chair without nitpicking or trying to predict the future of what could potentially happen. For right around $150, Homall’s Bucket Seat Gaming Chair is a solid choice that’s well worth some consideration. 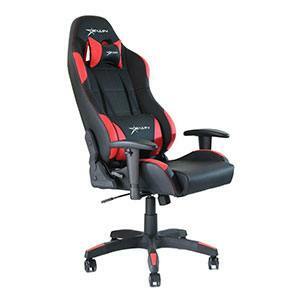 DXRacer is a well known brand and got there by putting out great products that people love. 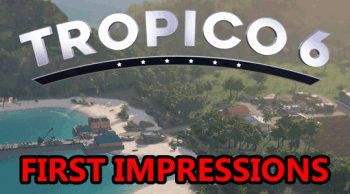 Oh, and tons of top-level marketing. Their Racing Series DOH/RW106/N is absolutely no exception and is probably one of my top 5 favorite chairs of all time. It’s sleek, comfortable, and high-quality. However, this comes at a price of around $300 usually. 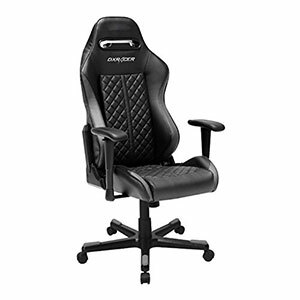 DXRacer is kind of like the Lamborghini of gaming chairs; they’re well known, really nice, you can likely get something that feels almost the same for cheaper, but you’re going to buy one anyways. The Racing Series DOH/RW106/N is primarily wrapped in nice PU material with some mesh here and there. The cushioning is comfortable enough if not a little rigid, but it adds to the whole race car feel I suppose. It’s definitely not uncomfortable, that’s for sure. Something to note is the DOH/RW106/N is technically only rated to support up to 200lbs (90kg) which means even slightly larger-than-average people aren’t technically supported by it. Bigger people than that probably use them, but it’s definitely something to be aware of. 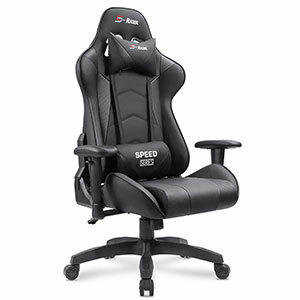 If you want a high-quality chair that makes it feel like you’re sitting in the seat of a race car instead of a gaming chair, the Racing Series DOH/RW106/N should be near, or at, the top of your list. The Ewin Gaming Chair is great for big and tall gamers with a weight support of 330lbs and a height that makes having long legs less of a burden. Its frame is built from high-quality steel and the padding was selected with heavy-duty use in mind. Wrapped in a nice, soft PU leather and padded with high quality, slightly stiff cushioning, this chair from Ewin is not only very comfortable but very durable. 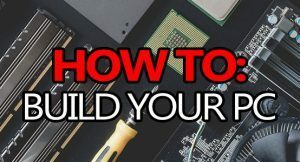 Assembly is a bit annoying but that can be easily overlooked (and forgotten about) as soon as you sit down in it, especially if you’re a bigger gamer who’s used to chairs not being “quite right”. That being said, the seat is somewhat shallow and thinner near the back than some people might like. It also comes with 2 pillows, one for neck support and the other for lumbar support. The arms can be adjusted quite high (or low) as can the seat of the chair. 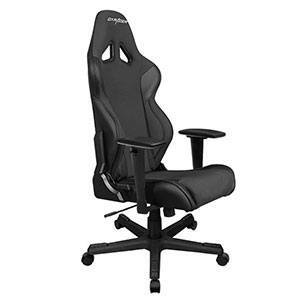 Otherwise, it’s a fairly standard “racing” style gaming chair. For the big and tall gamer, this chair from Ewin is a great choice to keep near the top of your list! The DXRacer Drifting Series DOH/DF72/NG is a chair that brings top-level quality and comfort together. Not only is this chair super comfortable to use for extended periods of time, but it’s also bridging on being a high-end “executive-level” chair. The fact that there’s a lifetime warranty on the frame and a 24-month warranty on the parts is just the cherry on top. If you’re prepared to pay a small premium for proper comfort, the DXRacer Drifting Series is without a doubt a consideration you have to make. 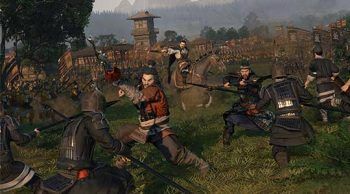 However, the big and tall gamers should be looking into the King series or the Tank series of DXRacer chairs as they’re more suited to your larger frames. The Drifting Series DOH/DF72/NG comes with a nice tall backrest and a deep seat to allow for maximum comfort while gaming over extended periods of time. It will tilt back to almost a full 180 degrees without any wobble or feel like you’re going to tip. Because of this, testing may have been interrupted by a short comfort-induced powernap. If you want comfort and you want quality, the DXRacer Drifting Series won’t let you down. That is, as long as you’re not much more than the supported weight. If that’s you, check out DXRacer’s Tank or King series chairs instead! Everyone else, you’re going to absolutely love this chair! 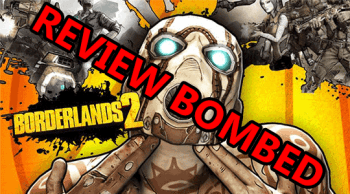 This list is not exhaustive, it only includes our top 5 picks. That being said, there are a ton of other chairs in this price range that offer great value for the price; they just didn’t quite make the list. If you want to check out even more gaming chairs, here are 16 of the best from budget to high end. 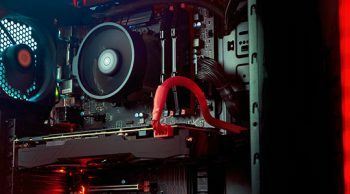 All-in-all, finding the best chair to use for gaming boils down to what kind of material you want, the size you need, and the price you’re willing to pay. Chairs, like many things, have to be picked based on their specs if you want to get the most bang for your bucks. Otherwise, you might end up with a chair that’s either much too big, too small, or just not comfortable enough. If you make sure to get the chair built with your frame in mind, I’m sure you’ll get something that’s just right. As always, if you have any questions or you just need help picking out your chair, ask me in the comment section below!